Mads Vassar Blog: Introducing Zipcars! Sometimes Vassar says it will do things and then doesn't follow through, like the convenience store set to open in ACDC in Spring 2009. But now we're happy to say that the school has kept its word! As promised last semester, a fleet of Zipcars will be available this semester for students to use. According to Dennis Cody, Associate Director of Security and Transportation Director, a Honda Civic and a Mazda Hatchback 3 will be available. Students can sign up with Zipcar and receive more information. The cars will be parked in designated spots in North Lot, behind Jewett. So far no vehicles are listed for Vassar on Zipcar's website. 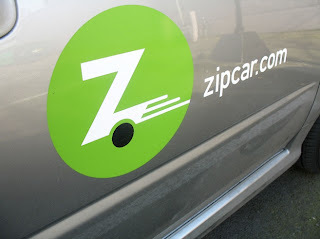 However, Cody says, "Zipcar will decide the official opening date for usage, but it should be within the next week." "We want this system to be very successful, and we hope our students use it and it continues to grow with additional vehicles."